If you’d like a list of available dates for Allen Blair, please submit a request below. 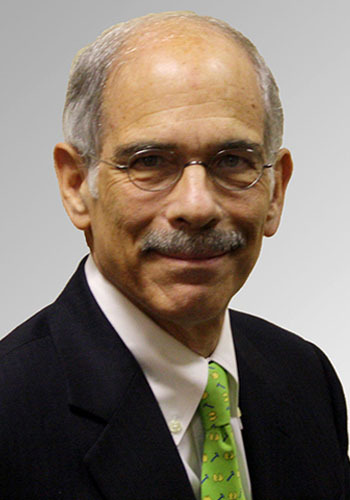 ALLEN S. Blair concentrates his practice in the areas of mediation and arbitration as a neutral. Mr. Blair is approved to serve as a Rule 31 Mediator by the Tennessee ADR Commission and is approved to serve as a mediator by the U.S. District Court in Memphis. He previously taught Alternative Dispute Resolution and Mediation at the University of Memphis Law School 1997-2014. He is a mediator and arbitrator on the Commercial Panel and on the Employment Panel of the American Arbitration Association. He has extensive experience in the areas of employment and labor law, has represented large creditors in the complex Chapter 11 reorganizations and other bankruptcy matters, and has served as legal counsel to a number of employee benefit plans. Mr. Blair has served as Chairman of the Litigation Section of the Tennessee Bar Association from 1997-1998 and Chairman of the Alternative Dispute Resolution Section of the Tennessee Bar Association from 2002-2003. He previously served on the Tennessee ADR Commission 2006-2014. Mr. Blair has published works entitled "Affirmative Action After Stotts," 21 Georgia Law Review 1141 (1987) and "Ethical Dilemmas In Mediation," 31 University of Memphis Law Review 59 (2000), the latter of which he co-authored. He is a member of the Memphis, State of Tennessee and American Bar Associations. He was in the 1981 class of Leadership Memphis. Mr. Blair is listed in the Best Lawyers in America in the specialties of Alernative Dispute Resolution and Labor and Employment Law. He has been listed in Best Lawyers in America every year since the first edition which is more than 25 years. Mr. Blair is listed in Mid-South Super Lawyers.